The kind folks of Ocean Spray sent me a pack containing their low in sugar fruit drinks (which are only 10 calories per serve!) and the challenge of one week full of healthy swaps I was delighted to participate, especially after making a point to retain a more healthy lifestyle for 2016 and having come back from a recent sojourn to the USA. A trip which saw me indulging a little too much in Mexican food and relying on our rental Jeep for getting from point A to B. My healthy swaps began with the most obvious; swapping my consumption of fizzy soft drink. Something that has become an irritating habit, seeing me reaching for heavy carbonated drinks over water for hydration. Surprisingly I found this switch to be rather effortless. And while I am an avid lover of anything consisting of cranberry, I am at times doubtful over the actual taste of products that are low in sugar or low in fat. It was always safe to assume that in being slightly more on the healthy side the overall taste and consistency would be compromised. But Ocean Spray have definitely busted that myth for me. Not only are these low sugar fruit drinks versatile and a great ‘swap’ for those unhealthy drinks people consume daily, such as fizzy soda, but they are also incredibly delicious and refreshing (especially when chilled). I didn’t detect a note of compromise, only that fruity, tart taste of cranberry that I adore. Making these low sugar fruit drinks a great everyday beverage option for those looking to cut calories but keep taste. The other swaps I decided to implement was switching from greasy fast food (damn those cravings!) to a healthier and more satisfying alternative like salads. And to swap going for a run from every second (or third) day to daily. 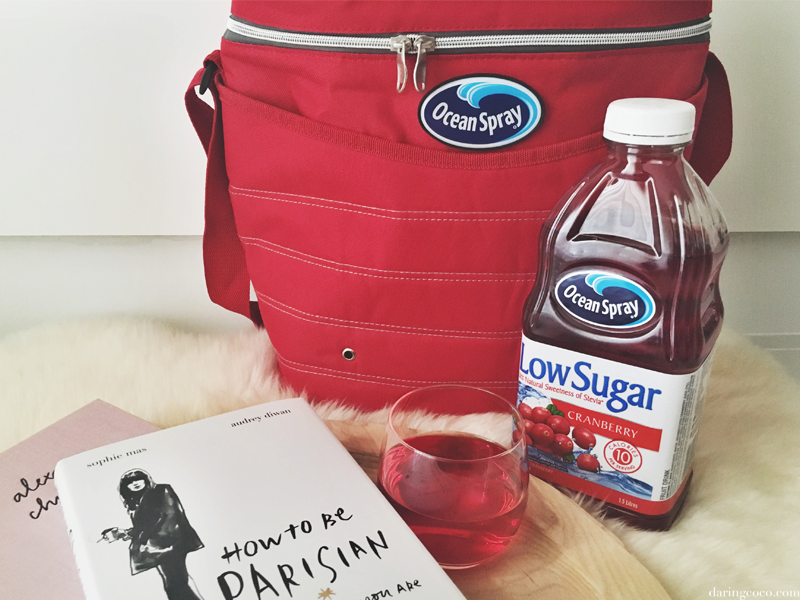 Overall switching my soft drink consumption to Ocean Spray’s low sugar fruit juice has been the easiest to transition into. My other endeavors not so much, however I am determined to see this through.